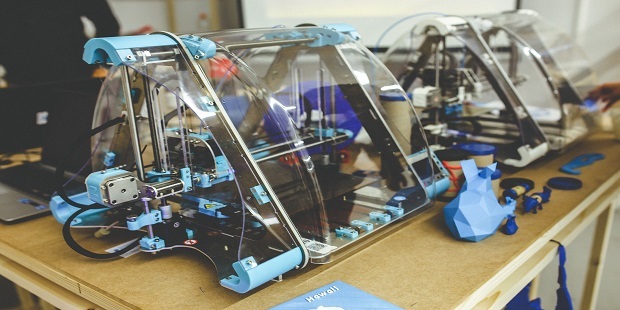 3D printers are one of those devices that hasn’t quite caught on in the home market, yet. I own one, but the most advanced trinket printed in my house was a grinning Mickey Mouse desk toy. It’s really neat-looking, but pales in comparison to the amazing things scientists are doing with the very same printers. Having already created “simple” human body parts (like an ear) with a 3D printer, the next ambitious project is to print a functional human heart. It’s a big enough endeavor to simply print a heart, but the organ also needs to have cells that a human body would accept. It could be decades before a person walks around with a 3D printed heart, but researchers are hard at work to make this futuristic concept a reality. Because the 3D printed heart will be part artificial and part natural, the term coined for this organ is ‘bioficial.’ When the time comes to put the heart into a patient, fewer anti-rejection drugs will be necessary because the patient’s own cells will be used to produce the heart. Ideally, these cells would be gathered from a person’s fat. The most difficult part of getting the heart to function will be replicating how cells interact naturally in a human heart. Another difficulty during the project will be keeping the printed tissue of the heart alive from the time it’s printed to transplantation. 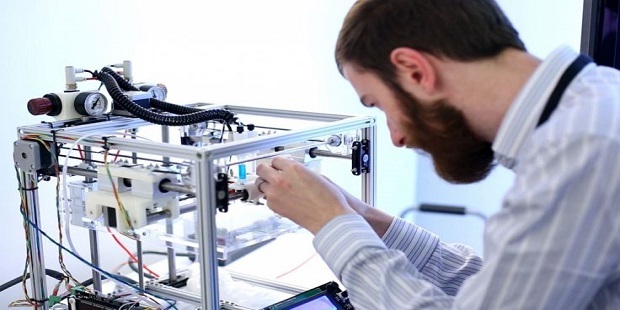 The 3D printers these scientists are using work the same way as ones you’ve seen in people’s homes or at your local science museum. Scientists will blend human cells and a gel together to make the material for the heart. A digital model of the organ is produced on a computer, which the printer follows as a guide. Slowly, but surely, the shape of a heart will form. The cells that were in the mixture the printer used will grow together to form tissue. In ten years, every candidate eligible for a heart transplant will not be receiving a bioficial heart, however. Those most likely to get one would be children whose chests are too small for an adult-sized heart and those candidates who simply wouldn’t be able to accept artificial hearts. Although we are still years away from seeing a person accept a 3D printed heart, they are helping surgeons already. A delicate and small organ like a baby’s heart isn’t something that surgeons want to guess with. Replicas of these organs are being produced by 3D printers so that doctors can examine it and determine where they should make incisions and how to patch holes. Models like this greatly reduce guesswork while in surgery. 3D printing has also saved amputees a lot of pain by giving them prosthetics that fit correctly. This is just the beginning, however. Given how new this technology is, it’s amazing how much has been accomplished already. 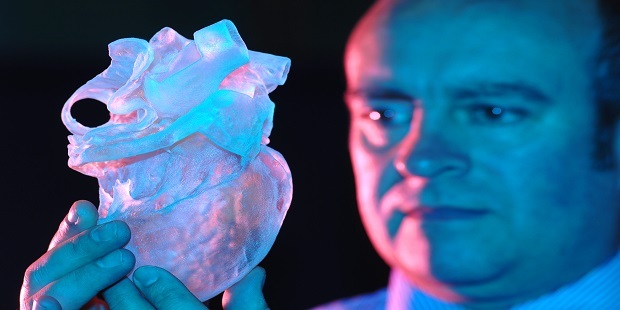 If you needed a heart transplant, would you trust a 3D printed heart or would you prefer a natural one?